Nick Garrod works in the Market Enablement for IBM Z and spent many years supporting the CICS products in a variety of business and marketing roles. He has been a member of the GSE Nordics steering committee for more than 10 years, and been a contributor to IBM Redbooks, IBM Systems journal, Enterprise Tech journal and Destination z.
Carsten Andersen have been in the banking business since 1979, and now working for Bankdata as a System Architect and part of team who handle the host frame-work in Bankdata and Jyske Bank and specialist in PD Tools on eclipse with various plugins, the main focus on plugins like MQ, Fault Analyzer, FileManager and Debug Tool besides Steering Committee member of Guide Share Europe Nordic Region, and Chairman of CICS Development and a Member of RDZ user group Europe and Member of ITSO (International Technical Support Organization) Redbooks. Come to this session to hear an overview of what the CICS track offers during the conference, be introduced to the speakers and see a summary of what their sessions will cover. You will see the highlights from the recent CICS TS V5.5 delivery as well as the latest news on z/OS Connect EE. Steve Wallin is Director of CICS - the world’s leading application server software for IBM Z – serving 1.2 million transactions per second and z/OS Connect - Truly RESTful APIs to and from your IBM Z mainframe. In December of 2018, with the availability of CICS TS V5.5, IBM CICS Transaction Server has evolved to become the world's most powerful mixed language application server. - CICS TS enables applications that are written in different programming languages to share core programming contexts such as security, transactionality, management, and monitoring. - CICS TS V5.5 builds on the capabilities that are delivered in earlier CICS TS V5 releases, enabling development teams to create powerful applications utilizing whichever programming language is optimal for the task, while allowing operational teams to manage these applications from a single point of control. - Major new and enhanced capabilities include Node JS support, Java EE Full Platform support, CICS Explorer aggregation with GraphQL, along with usability and automation. - Come to this CICS opening session to find out how CICS is reinventing the mainframe Application Server. Fraser Bohm started working on CICS TS in 1996 and is now the IBM Distinguished Engineer responsible for the CICS business. He serves as the Chief Architect for the CICS portfolio as well as being part of number of strategic initiatives including z/OS Connect, Liberty in CICS, Node and Swift support. Prior to this Fraser was the Chief Developer for both the CICS TS 4.2 and Version 5. He was the architect for the SOA and Web Services initiatives from Version 3 onwards. CICS is a mixed language application server, that has been based on a sound foundation. that the CICS team have been implementing in version 5 around topics including security, resilience and system management. Topics will include CICS TS 5.5 changes to policies, flow control, controlling APIs and security. CICS Explorer is a desktop application for interacting with CICS TS. Come and hear about the latest features being delivered via our continuous delivery, such as extended security support. Get a sneak preview of what's coming up in future CICS Explorer releases with a review of CICS Explorer 5.5 Open Beta, with improved support for system management data. The CICS TS V5 releases include many performance improvements to increase horizontal and vertical scalability. This session highlights some of these enhancements, combining reductions in storage and CPU usage with extra monitoring data available for all types of applications. In this session, we look at recent improvements to MRO, web services, Java, zIIP eligibility, and even new commands, helping you save money and improve throughput. Ian J Mitchell is an IBM Distinguished Engineer with responsibility for z/OS Microservices Architecture. He has many years of mainframe experience having been responsible for the technical architecture of the CICS Product Portfolio. He has over 30 years experience as a technical leader in IBM Hursley and has been in the forefront of creating and introducing many of CICS' important innovations including Workload Management, Sysplex Support, Business Transaction Services, Java, Web Services, Event Processing and the CICS Explorer. In this role Ian has worked with many of the technical leaders across all the mainframe technology components. Ian also has close relationships with many of IBM's largest customers running critical systems using CICS and the mainframe. In 2016/7 he led the architecture for Blockchain on Z Systems and is now working on enabling Agile Application on Z with Microservices. A decade ago you could probably just try and ignore them but it's getting harder each release. CICS and z/OS resources are here to stay and so you probably need to understand the different types of zfs resources that are used within CICS and z/OS Connect and best practice for dealing with them. From basic text files through to more complex bundles and archive files we will examine the best ways of editing, deploying, and controlling these different files. The session will not only describe the basic function of each resource but give real examples of how to handle the file in source control, deploy into different environments as well as maintain the resource once deployed. We will also examine the techniques needed to actually enable and refresh these resources in a live environment. A range of CICS and z/OS Connect technologies that are freely available will be demonstrated to allow you to take advantage of the concepts straight away. Whether you just have a single web service in CICS or have 100's of bundles already you will find something of use in this session. Will Yates - Since the edge of 5 when he decided to run a boundary value analysis test against the VCR by inserting a piece of toast into it, Will has had the knack for systematically breaking software. After a degree in Computer Science he joined the CICS team at IBM Hursley where is has been busy raising defects ever since. He has been involved in all areas of CICS application modernisation, co-authored several red books and recently presented the introduction to CICS video education series. A look into a dynamical setup that is base on what z/OS can due when you want a one size fits all setup. Bring your laptop to this session and learn how you can extract maximum value from some of the new features in CICS. You will see this by actually running them on your own laptop with a gust ID to the zTrial program. You will be able to see Node-JS with CICS,Create a Java web project.include the web project in a CICS bundle, export it to zFS and create and install the CICS bundle into CICS and test the Java web project in a browser. Create efficient and scalable RESTful APIs for mobile and cloud applications securely from your business critical applications residing on the mainframe. including exposing a CICS COBOL program as a RESTful API, expose an IMS application as a RESTful API, calling a REST API from a COBOL Application. Limited laps top will be available, but please bring your own if you can. The only way to predict the future is to shape it. If you want to understand how CICS is evolving and what the future might hold, then come to this session to find out and discover how you can participate. Anthony Papageorgiou is an IBM Product Line Manager in the CICS team, and will be presenting this interactive session to give you an insight into our plans, and to gain your feedback about how we can help you solve your problems. CICS TS 5.4 introduced an exciting new capability to enable you to parallelize the processing of your business logic. Come to this session to learn more about the CICS Async API and how to use it, with a real life example of how Walmart have applied this technology to realise significant performance gains. Anthony Papageorgiou is a Software Engineer working at IBM Hursley UK. Before he joined IBM in 2007 he worked for Mintel International Group Ltd as a Web Developer. Anthony holds a degree in Computer Science from the University of Warwick. His areas of expertise include Event Processing, Mobile, Cloud and API Technologies. During his time at IBM he has performed a number of roles across Development, Architecture, Strategy and Management in the CICS organisation and is currently working as the delivery manager for zOS Connect EE. Kirsten Ann Larsen works as a DBA at JN Data A/S in Denmark. She has 20+ years of experience with Db2 and z/OS in a number of different roles and companies, including DBA, SQL and system tuning, architecture and XML. She holds a master’s degree in Computer Science from Aarhus University. She has co-authored a number of articles and redbooks on Db2 and is an experienced presenter. Db2 is investing for leadership in the cloud, mobile, and analytics era, while extending our mainframe heritage of 24x7 availability, security, scalability, and performance. This presentation reviews the latest Db2 enhancements including: zHyperLink support for ultra-fast read and write I/O, Huffman compression for improved Db2 data compression, Db2 native RESTful services improvements, Db2 AI for z/OS for embedding Machine Learning into Db2 for performance optimization, Db2 DevOps Experience for z/OS for cloud provisioning and CI/CD automation, IDAA impovements, as well as numerous improvements delivered in the V12 continuous delivery stream. Jeff Josten is an IBM Distinguished Engineer and the lead architect of DB2 for z/OS. He has worked in DB2 Development at the IBM Silicon Valley Lab since 1985. He owns several patents in the area of data base technology, and is a frequent speaker at user group and customer meetings. Db2 for z/OS utilities are used by everyone and in recent years there have been a lot of enhancements to transform usability, availability and performance. This makes it even more critical to understand the basic rules of how to run utilities. What are the essential things you need to know about how these utilities work to ensure REORGs are successful with minimal application impact? How can I ensure that LOADs run with a minimum of time and resource? Even how can I avoid table versioning problems with DSN1COPY? If these types of questions are important to you, then this session will demystify Db2 utilities and show you how to take full advantage of their untapped potential. Haakon Roberts has nearly 30 years' experience working with DB2 on the mainframe platform spanning various aspects of sys-tems programming, database administration, software support and development. He is a Distinguished Engineer at the IBM Silicon Valley Laboratory in San Jose, California and the chief technical architect for DB2 for z/OS Utilities and Tools. He is a regu-lar speaker on these and other topics. This double session (S203 and S211) introduces and discusses some of most common and/or most important issues based on worldwide customer engagements. There are two main objectives. Firstly, learn recommended best practice. Seconely, learn from the positive and negative experiences from other customer installations. The following topics will be discussed: Running out of basic 6-byte log RBA addressing range; Diagnosing resolving slow-downs and hangs; Hung Db2 threads; New ZSA keyword on HIPER and PE APARs; Insert free space search algorithm; Insert with APPEND; Fast un-clustered insert (Db2 12); Hidden ROWID support to partition; Cost management using CPU capping; Fast REORG with SORTDATA NO RECLUSTER NO; Requirement for increased RID Pool size (Db2 12); Setting initial STATISTICS PROFILE (Db2 12); System parameter REALSTORAGE_MANAGEMENT; Transaction level workload balancing for DRDA traffic; Use of High-Performance DBATs; Overuse of UTS PBG tablespaces and MAXPARTS; Cleaning up after STATCLUS = STANDARD; “MBA lock”; IRLM query requests for package break-in; Db2 maintenance issues with batch utilities; Running CHECK utilities with SHRLEVEL CHANGE; Local buffer pool allocation – virtual and real memory. John J. Campbell is an IBM Distinguished Engineer reporting to the Vice President of IBM Analytics Private Cloud Product Development. He has extensive experience of Db2 for z/OS in terms of systems, database and applications design. He specialises in design for high performance and data sharing. He is one of IBM's foremost authorities for implementing high end database / transaction processing applications. • How we in Danske Bank work with partitioning of data. • How we use application parallelism to process high volumes of DB2 data in partitioned tables. • Some experiences with UTS PBR RPN from our DB2 12 beta test. The presentation will discuss partitioning from a performance, availability and scalability perspective. We will start with some basic considerations about table design, clustering and partitioning of data. It will present different methods to partition a table. All based on practical experience. In Danske Bank we have a long tradition of running parallel batch on large partitioned tables. The presentation will give some tips about design of parallel batch application and discuss the performance benefit and pitfalls. In Danske bank we have converted our partitioned tablespaces to UTS. This presentation will share our experience. To materialize pending alters on large tablespaces can be challenge for all of us. This presentation will give some guidelines that can be used for UTS migrations as well as other large REORG with pending alters. DB2 12 introduced a new type of tablespace UTS-R Relative page numbering. We will share our findings from test cases in the Beta program for DB2 12. What is the benefit from an availability and scalability perspective? Henrik Henriksen has more than 33 years of experience with DB2. The experience include application development, Data Base design, Performance, tuning, replication and more. He has many years of experience as instructor in DB2 classes in Danske Bank and has presented at international DB2 events. He has participated in beta test of DB2 version 10, 11 and 12. He has completed the master class training set up by the DB2 swat team. Db2 12 for z/OS contains many improvements to help customers maintain 24x7 availability across planned maintenance & upgrade activities, as well as unplanned outages. This presentation covers the most relevant Db2 improvements in this area. Frances Villafuerte is a key senior engineer and lead architect of data structure design in DB2 z/OS Development team. She has been responsible for several critical functional areas within the product which including Online Schema evolution, Space Management, Performance improvement, LOBs and Real Time Statistics. She has great experience working with customers to design their DB2 system for optimal performance and availability. In addition, she is also a frequent speaker in various conferences. Claus E. Mikkelsen has 32 years of experience in various DB2 disciplines, mainly focused on writing and tuning SQL. The last four years Claus has been working as a DBA. The assignment was to tune Db2 for z/OS systems, but was changed to focus on Db2 backup/recovery. S208 - What's new in Db2 for z/OS Utilities? Db2 Utilities Suite continues to be an intense focus area for improvement, delivering new capabilities in terms of availability, performance and usability. This session will provide a brief overview of what is new in Db2 12, but the primary focus will be on what has been delivered via APARs on V11 and V12 in the past few years. Enhancements that you can take advantage of today. S209 - Ensure your data for events you hope won’t ever happen! Implementing the right strategy how to make images of your data for the unlikely event of data corruption or data loss is essential for your business. Once strategic decisions have been set up, the even more important question has to be answered which techniques to choose and to assemble in order to meet your goals. Recovery time objectives (RTO) and recovery point objectives (RPO) have to be considered as well as which business-critical applications have be recovered first in a situation where recovery is crucial. This presentation will start with a quick recap of which resources are necessary in a modern Backup & Recovery process and then will explain the Db2 z/OS possibilities. Because high-sophisticated techniques are provided by independent software vendors also, this presentation will take a closer look at exclusive features and architectural product designs, that support the ambition of maximal speed, correctness, and integrity. The end of the presentation will be focused on some special B&R processes that include data surgery to exclude bad data, and the always actual topic of data replication and data auditing to highlight technical alternatives besides unload and load processes. Chris Duellmann is a Db2 principal consultant with a strong background in backup & recovery and database administration working at BMC Software for the last 21 years. He has over 30 years of Db2 experience and has presented at various conferences including GSE Guide Share, IDUG EMEA, and other international Db2 user events. In the past, he has been a systems programmer and DBA as well as a lecturer and technical advisor where he supported several large companies. He provided technical consulting for backup & recovery strategies in ERP environments, as well as implementing Db2 maintenance procedures in 24x7 high-availability systems. He is co-author for the BMC Best Practices Book Recovery Management. Db2 is constantly evolving over the years, bringing new features with every new release. It might be hard for the developers and administrators to catch up with all the new useful technologies and possibilities. Often, even the features that are not brand new and that have the potential to help reducing the costs by improving the performance or making the application simpler, are not yet fully exploited. This presentation will list and remind some features that might help application developers to use more power of the Db2 engine. The discussed topics will cover advanced SQL like the MERGE statement, SELECT from data change references, multi-row operations, lock avoidance techniques, built-in functions like GENERATEUNIQUE(), timestamp functions, and some other small tips. We will also cover highlighted features of Db2 12. 1. Review some of the new features brought through the Db2 releases. 2. Advanced SQL statements like MERGE, SELECT FROM table change reference. 5. Several smaller tips using built in functions. Emil Kotrc is a principal software engineer at CA Technologies working in Prague Technology Center since 2005. He started on Resource management products for Mainframe and later moved into Database management for DB2 for z/OS development. Before joining CA Technologies, Emil worked in an academic environment. Db2 for z/OS strategist Universal Table Space (UTS) has been a widespread adoption by many customers as they have been taking actions to convert legacy table space to UTS. Identifying which type of UTS table space to be used has become a challenge task for DBA. This presentation will provide a lesson learned from customer’s experience and things to think about and its best practice. 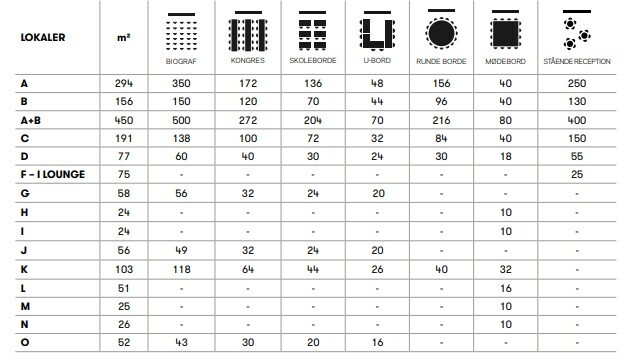 Objective 1: Overview of design rational of Partition by Growth, Partition by Range or Partition by Range RPN table space. Objective 2: This presentation will provide use case of each type of UTS. Objective 3: Many table space attributes such as SEGSIZE, DSSIZE, MEMBER CLUSTER or MAXPARTITION can affect the operation of UTS. This presentation will provide information on how table space attributes affect performance on UTS. 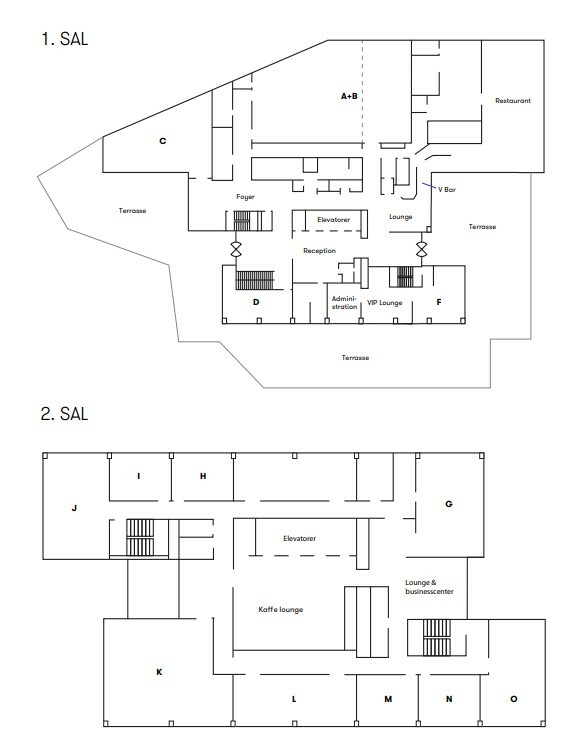 Objective 4: How indirect reference records affects space usage and performance. Anders Öhrnberg has 31 years experience supporting IMS. He is an IBM certified IMS Systems Programmer and DBA. Anders is the GSE Nordic IMS working group chairman. He is promoting the value that IMS provides.. He participated in the implementation of Parallell Sysplex, IMS Connect, CSL, IMS Catalog, Security etc. Anders is currenly looking into how to change the ways of working as a systems programmer. You are new to IMS! So come to learn the basics of z/OS transaction and database servers with a focus on what IMS Transaction and Database Manager provides to support 50 years of application and data and to support innovation needed for digital and cognitive transformation projects. It's all about value to the business! Hélène Lyon is recognized worldwide as a technical leader for mainframe solutions, especially around platform modernization, analytics and IMS. She is passionate about the value that z Systems provides to its clients, to the IBM business, and to the world in general. Her role as an IBM technical executive is to lead European mainframe customers through digital transformation; allowing in-transaction analytics while protecting quality of services for their core business; allowing mobile unpredictable demand to get consistent sub-second response time; and allowing optimization of IT Services delivery with scalability & availability needed by business. IMS Management of ACBs is the new way how runtime ACBs are managed in IMS. The ACBs are moved from the ACBLIB to the IMS Catalog. It openes up new possibilities how to manage and deploy databases and PSBs. With IMS Management of ACBs you have the ability to create and manage databases and PSBs using DDL. This presentation will describe the implementation of IMS Management of ACBs at Handelsbanken. at Handelsbanken in the QPP program. Clients - IMS Connect, MQ, IMS TM Resource Adapter, z/OS Connect in the past year. This session will also show what is new for IMS 15. Steve Nathan has 44 years experience using and supporting IMS. For the first 30 years he was a customer: application programmer, application analyst, systems programmer, DBA and performance specialist. For the last 14 years he has worked for IBM in IMS Level 2 support. FI-TS is running IMS systems with IMS Catalog already since 4 years now. 1.5 year ago they also started to implement IMS managed ACBs in their first internal test system and became sponsor user for IMS managed ACBs after this. In this session they will share how they implemented IMS managed ACBs and the experiences they made with their internal test systems and after activating IMS managed ACBs in the development systems of one of their customers. You will hear about lots of problems, which haven’t stopped FI-TS from moving on with IMS managed ACBs and working together with the IMS lab on making this technology – which IBM intends to make mandatory – stable. Robert is a young IMS system programmer at FI-TS – a German IT service provider for banks and insurance companies. On of his major interests is the modernization of both IMS systems and IMS applications. Therefor Robert is testing a lot of new functions, implementing PoC applications and advising FI-TS customers. Since October 2015 he is also team leader for IMS and CICS at FI-TS. S308 - Don´t be afraid of ODBM security and gain control over all access points to your databases. IBM IMS provides support for the open database concept through its CSL Open Database Manager(ODBM) feature, however many database administrators are unenthusiastic about the open database concept, because of its perceived vulnerability and security issues. During this presentation we will cover some of the methods that can be employed to secure your ODBM in your IMS environment. Don´t be afraid of ODBM and learn how to gain control over all access points to your databases. Radek Mrvec joined CA Technologies 7 years ago as an Associate Software Engineer working on CA ACF2. A year later he switched to CA Database Management Solutions for IMS for z/OS. After another five years in development he is now working as a Senior Software Engineer, mainly on new development across the whole CA IMS Tools portfolio. S309 - IMS 15, What's new since GA and How to enable new functions ? Keep up to speed with IMS. As part of its Continuous Delivery strategy, IMS 15 has introduced many new capabilities since it became generally available that can improve your system functionality, enhance your business efficiency, and simplify your operations. This session details the most recent enhancements as well as how the new Function Enablement process works. Checkpoints are good things for batch IMS applications to take; however, you can have too much of a good thing. Applications that take too many checkpoints are not easy to identify. They end with condition code 0 and produce the expected results. One checkpoint a second is a good rule of thumb, but we have seen programs taking 30, 50 even over 100 checkpoints a second, wasting CPU and elongating elapsed times. How can you identify offending programs and how can you eliminate unneeded checkpoints without changing the programs? This session will discuss a way to find the programs taking too many checkpoints and suggest some things you can do to address the problem. David Schipper is a lead product manager at BMC Software responsible for BMC Solutions for IMS. As product manager, David works with customers to understand their needs and uses that information to set product directions and prioritize new product capabilities as he interfaces with the development teams. David has over 30 years of experience with mainframe systems and has been in product management for over 20 years. David has Bachelor of Science degrees in Computer Engineering and also in Applied Mathematics from the University of Michigan as well as a Master of Science in Computer, Information and Control Engineering from the University of Michigan. This presentation will give an outline of procedures and tools that should be used by the IMS performance group in every IMS installation. (YES - you need one of these). Jamie Squibb is a software engineer at the IBM Hursley Laboratory in the UK. He is a squad leader in the IBM Messaging development organisation, where he has worked since joining IBM as a graduate in 2001. Jamie is also a member of the GSE Nordic Region Conference Steering Committee, representing the IBM Messaging product family. Jørgen Malmstrøm is working in EVRY Norway. He is working as a software devloper on mainframe with cobol, cics, mq-series, db2. S401 - What's New in IBM MQ? IBM MQ provides mission critical enterprise messaging, offering a foundation on which to extend and build out a hybrid cloud solution. This session shows why IBM MQ continues to be the key messaging technology that many companies trust their business to, and how IBM MQ continues to evolve to meet the ever changing requirements of its users. The session will cover recent updates that enable you to embrace your transition into the cloud and ensure that IBM MQ remains your essential partner as you continue your journey. S402 - The human face of the mainframe using emerging tech to foster technical collaboration. Neil Evans has worked in IT for over 25 years and is Chief Technology Officer for EMEA at Macro 4, a division of UNICOM Global. Neil began his IT career as a PL/M programmer at ICL Fujitsu and during his 20+ years at Macro 4 he has developed solutions for customer communications management, enterprise information management and application modernisation. He is a specialist in user interface design, solution architecture and technical leadership with responsibility for promoting the adoption of new and emerging technologies across the wider UNICOM group. A successful DevOps transformation involves a balancing act between agility, cost, and innovation. Thus, a key question to answer is: How do I produce development environments quickly, while minimizing the operational costs to provide them. Imagine tapping into your current Intel based cloud to produce flexible development environments for your z/OS developers, where all application specific datasets can be extracted intelligently from Z, so they can code, update various applications and test out the effects in a safe environment. IBM ZDevelopment and Test Environment (ZD&T) can enable this capability. This session will discuss how environments can be built and developers can use those environments to deliver a change to QA. This session will look at operational aspects for z/OS Connect EE covering security and DevOps best practices. The first half of this session will be an introduction to the key security principles relevant to z/OS Connect EE which include authentication, identification, authorization, confidentiality, integrity, and auditing. z/OS Connect EE security can operate with traditional z/OS security, for example, System Authorization Facility (SAF) and also with open standards such as Transport Layer Security (TLS), JSON Web Token (JWT), and OpenID Connect. The second half of the session dicsusses how DevOps best practices can improve your API lifecycle to drive transformation and exploit your core Z assets more effectively. Jack Dunning is a Software Engineer in the z/OS Connect EE team at Hursley UK. He joined the z/OS Connect EE team in 2016 after completing a Computer Science degree at Staffordshire University. He has worked on development, testing, and L3 service, and has contributed to various features including the API toolkit, policies (also writing articles for the Mainframe DEV site), and PassTicket support for the REST Client SP. IBM MQ is the market-leading messaging product that enables anywhere-to-anywhere integration, from the simplest pair of applications or devices requiring basic connectivity and data exchange, to the most complex business process management environments using a wide variety of endpoints. This session presents a high-level technical overview of MQ. Come to this session to learn about the rationale behind messaging and the business problems it solves. Gwydion Tudor is a Software Engineer working in the IBM MQ for z/OS development team. He has worked in IBM Hursley for over 12 years, and in the IBM MQ development team for over 7 years. His main areas of expertise include shared queuing and security. IBM MQ is the world's most powerful messaging solution. It simplifies and accelerates the integration of different applications across multiple platforms, including desktops, mainframes and cloud frameworks. It supports a wide range of APIs and languages, enabling developers to focus on business logic and produce code that matters. This session presents an overview of essential concepts for developing messaging applications, plus some best practices for what to do, and what not to do, to achieve performance and reliability. S407 - SMP / What ? SMP/E (System Modification Program/Extended) is the standard installation tool for z/OS. Systems programmers use it to install products from IBM and other vendors. In ancient times they received big boxes with tapes and printed manuals and ended up with a desktop loaded with stacks of Leporello lists. Today delivery is by download, and output only printed by mistake. But the tool is the same, and it often works in mysterious ways. The presenter have been a user of SMP/E for decades, but lately also has been packaging a product with SMP/E. The presentation will pass on an overview of the SMP/E process and a look into the machine room to see, what is going on inside it, and how to understand the output. - Technical Support and infrastructure toolproviders. - Gen Z interested Students og Teachers. Michael Erichsen is an Enterprise Modernization Specialist at Xact Consulting in Copenhagen, Denmark. Besides acting as solution architect, systems programmer, storage manager, and operations staff for zD&T instances in-house and with customers he currently concentrates on IDz and on maintaining the host component of the XaTester unit test tool. Security and compliance with industry and enterprise regulation is increasingly important in today's world, including how data is protected both at rest and in transit. This session presents an overview of the security capabilities in IBM MQ that can be used to ensure message data is protected from receipt to delivery. The session includes an overview of operational security for applications and administrators, network security for protecting messages in transit using SSL/TLS, and end-to-end security using encryption and digital signing. Data privacy, especially with GDPR, PCI DSS, etc., is crucial. Hackers are finding new techniques to obtain this data, and sell it for big bucks. Microservice applications running with Docker and Kubernetes should protect the data they process by making use of encryption, but this is often far from a trivial task, and can require re-engineering of existing unsecured applications. In this session you'll learn about a set of attack vectors being used to obtain this information, and what you can do to mitigate against them. We'll show how Secure Service Containers for IBM Cloud Private can be used to secure an existing application with minimal code changes, to provide mandatory encryption at rest and during transport. Chandra Potula is a passionate engineer with over 15 years of experience including design and development of networking, hypervisor and virtualization management software for enterprise systems. Currently working on On-Prem secure cloud solution Secure Service Container for IBM Cloud Private which leverage container orchestration technologies like Docker, Kubernetes on IBM LinuxONE Platform. The global online world in which we live today demands 24/7 availability. Poor response times or system outages can quickly escalate to customer dissatisfaction on social media, so enterprises require robust and scalable infrastructure on which to base their business. This session presents an overview of the availability and workload balancing features of IBM MQ that can be exploited to build a robust and scalable enterprise messaging solution. S411 - What is KAFKA and IBM Event Streams ? New and engaging digital experiences are essential for interacting with clients. Responding to events in real time might be key to new revenue. IBM Events Streams, built on Apache Kafka, helps you create event-driven applications quickly and efficiently. Event Streams is also able to connect natively to your MQ network, helping you unlock events from your backend systems and use them to provide context for new applications. This session provides an overview of Kafka and introduces IBM Event Streams, including deployment, geo-replication for disaster recovery, and connectivity to IBM MQ. How many times have you heard, "we need to hack the mainframe" in Hollywood movies? In this session we'll debunk how really really hard this is to do, explain why the threat is increasing, and unveil some of the tactics, tools and safeguards you should be looking at. The session will conclude with a live demo, with no movie magic required! Steve Talbot-Walsh Originally employed at the IBM software labs in the UK, Steve has over 35 years IBM Mainframe Systems Engineering and Consultancy experience. Specializing initially as an MVS, CICS and RACF systems programmer, Steve moved into a technical pre-sales and large systems consulting role. In 1993, Steve formed what was to become a worldwide team specializing in mainframe security integration and migration (CA-ACF2 and CA-Top Secret to RACF) and worked on projects throughout the UK, Europe, USA and Australia, in large-scale multinational organizations, across a wide variety of industry sectors. In July 2011, Steve joined IBM A/NZ in Melbourne as a Senior System z Client Architect (zCA) and became the IBM z Security Technical Pre-Sales Lead for Asia Pacific, China, Middle East and Africa. Steve is a member of the world-wide IBM zChampion’s team and a member of the IBM zCA Global Advisory Board. In August 2017, Steve became the world-wide CTO for IBM z Security. Marianne Menå Heltborg is a Nordic Technical Sales Specialist for different product areas running on the mainframe. She started as a CICS Systems Programmer in IBM in 1986 and has had many different roles since. Marianne is known as a trusted advisor within the z Systems field. Her core competencies are on IBM Z mainframe software: Z Hybrid Cloud Integration, API Management on IBM Z, z/OS Connect as well as CICS, CICS Tools, Problem Determination Tools. She has been co-author on two ITSO Redbooks and presents at various conferences and events. She has been part of the GSE Nordics steering committee for 12 years. The operations side of the Mainframe is challenged by the Generation Gap, Demographic issues, lack of management understanding of the platform and thus tend to be out of focus even if it is the platform, that “runs” the business. Due to the decreasing qualified resources to run the Operation we can foresee the challenges to run the mainframe. Everybody has done efforts in the Automation area, but areas that cannot be automated or areas, that needs to be addressed before it is to late need attention NOW. Come and hear the First Findings in the GSE Europe Initiative. Niels Simanis from Nordea has worked as a System Programmer, manager more than thirty years with expertise in ZOS, Cics, MQ, Racf, Performance and Monitoring. In the current role where operational and infrastructure changes is part of the responsibility across platforms in Nordea it also means a return to the operational perspectives and excellence on the Mainframe. S502 - The Privileged Insider - is this your biggest vulnerability? Did you know that over 45% of data breaches are caused by internal incidents? Or that 51% of workers ignore security policies? Privileged users are both a blessing and a curse. On the one hand, they help keep our systems, applications and data available and secure. On the other, they are the front door for all kinds of security breaches. So, in reality, they are your biggest vulnerability if you don't implement the required controls. In this session, we look at some of these security breaches, the root cause and logical steps you can take to protecting your organization. Learn about security capabilities to enforce segregation of duties, provide strong authentication, detect toxic entitlements, audit privileged users, and monitor compliance. IBM Cloud Private provides an open standard cloud consumption and *aaS model that enable a common experience across Z, Power, and Intel platforms. Open Service Broker technology provides a standardized experience that enables z/OS middleware to be provisioned and managed from an ICP environment the same way you can provision and manage other services. The speaker will highlight the value of ICP on Linux Z and will demonstrate how a cloud native microservices banking application based on 2 microservices developed in Node.js and in Java, is able to access some core-banking services running on z/OS and exposed through z/OS Connect. He will also demonstrate how to deploy and manage some z/OS middleware like CICS, Liberty or z/OS Connect from ICP for Dev & Test purpose. Yann Kindelberger is a lead architect in the IBM Client Center of Montpellier. As an executive integration Architect, he is in charge of designing advanced IT solutions to meet customer challenges in the retail banking and payment industries. For the last 7 years, Yann has been involved in many pre-sales engagements around Integration/API Management, Analytics/Machine Learning, Legacy Modernization and hybrid Cloud for large retail banking customers. Yann developed an innovative visionary approach and methodology to allow customers to successfully transform and modernize their critical business applications on IBM Z. Yann is an outstanding technical leader involved in many large Mainframe transformation projects. There is incredible advantage in having a development team, skilled in a powerful new language, that can handle full stack development. Development, delivery, and techniques such as CI/CD are all vastly simplified under this model. The challenge is that there is no contemporary language that can span mobile to mainframe and deliver on the promise of extreme agility. Or is there? What if new languages, like Apple's recently open-sourced Swift, could be deployed for mobile, mid-tier and mainframe? What if we could unlock and reuse the critical application logic and data services that reside on the mainframe, all encoded in Swift? Come see an all-millennial full-stack development team demo their fully integrated Swift apps. Frank van der Wal is Executive Digital Transformation Specialist and Technical Leader IBM Mainframe Architects and Specialists BeNeLux. The complexity and amount of data needed to solve problems within z/OS are still growing. An ongoing process is needed to standardize, speed up and simplify this activity. This session will present some hints and tips how Credit Suisse is analyzing and managing Operlog data and will be of interest for advanced system programmers who manage and analyze Operlog/Syslog Data. Gabriel Guth is a System Performance Manager at Credit Suisse in Switzerland. He has 21 years of experience on IBM z Systems®. Former started as junior System Controller in the Airline Industry. He is now working more than 14 years at Credit Suisse. Gabriel worked in batch production, application development and as a test system manager. Today Gabriel is controlling and managing performance at Credit Suisse and regularly analyzing problems on the different system environments. Adam Britt has worked for a number of years in the financial sector working on both mainframes and decentral systems. He is working at BEC where he is responsible for IDz and in general is working towards making mainframe development great again. When a single security breach can cost $US 4 million on average, isn’t it time to stop relying on passwords alone? When new fintech players are redrawing the IT landscape, how do you stay competitive? In this session, learn how JN Data A/S, a Danish IT operations and infrastructure provider to the financial services industry, sought a better way to keep key systems and data protected, improve customer experience, and capitalize on the performance of IBM Z to meet its business goals. JN Data A/S uses IBM Multi-Factor Authentication for z/OS to reduce the risk of unauthorized access to sensitive data and systems, helping protect the company and its clients from costly and damaging security breaches. Kurt Højgaard is a Z/OS Systems Programmer in the Z Infrastructure Department at JN Data in Denmark. Kurt has alos been a developer and CICS Systems programmer. IBM Watson Machine Learning for z/OS brings AI to your most critical business applications on IBM Z. It offers an end-to-end machine learning platform that operationalizes predictive models while also benefiting from core IBM Z qualities of service. During this session, you will get an idea about the first Watson Machine Learning for z/OS client projects and experience. Get inspired and discover how you can make the difference using Watson Machine Learning for z/OS to stop outages before they start and turn huge volume of your IT operations Data into relevant and actionable insights for quicker problem solving and better service. Data and AI solutions belong to the current focus areas which Khadija supports during customer events, multi-customer and individual customer workshops, POCs and Hackathons. Her responsibilites include customer consultation, proof of concepts, technical enablement workshops, demo development and delivery worldwide. Tom Ross(Captain COBOL) is a senior software engineer in IBM COBOL development. Tom has spent his entire 36 year IBM career in COBOL development, working on the compiler and run-time libraries for every release of VS COBOL II, COBOL for OS/390 & VM, and Enterprise COBOL. Tom is an expert when it comes to understanding migration challenges for Enterprise COBOL and Language Environment on z/OS, and, he understands many of the issues facing IBM mainframe customers. Tom is also a frequent speaker at user groups and is the IBM representative for COBOL to SHARE in USA and GSE Nordic. The usual processes of obtaining access to create apps on-prem can slow application agility. With IBM Cloud Hyper Protect Virtual Servers, it is easy to spin up an environment and develop your application with speed, while maintaining LinuxONE grade security. Serve traffic directly, or containerize your app using Hyper Protect Containers as a testbed, before deploying on-prem to Secure Service Containers for IBM Cloud Private: your application, and its data, is always encrypted, across its lifecycle. Dr. Chris Poole is a Master Inventor in IBM's Hursley development lab, working on IBM Cloud Hyper Protect Containers. Prior to this, he worked in the IBM CICS development team, working on asynchronous APIs, DevOps tooling, and Cloud platforms. He's also worked in the IBM API Connect development team, and has developed software to administer DataPower appliances. He holds a PhD in Theoretical Physics. Learn how IBM’s Spectrum Scale can replace the traditional HDFS file system in Hadoop, and in this way make the Hadoop much more integrateable with e.g. zOS systems. Also how DB2 Big SQL utilizes the Hadoop, improves query performance and federates with DB2 zOS. Claus Samuelsen is a pan-European Senior IT Specialist in IBM Hybrid Data Management with more than 10 years experience in big data solutions. Rajesh Kumar Khare carries an experience of 25 years in various segments of IT industry. His experience covers a spectrum from education, development, to management. Rajesh worked on various client/server IT Projects, and since last 18 yrs working in Mainframe environment on various appliactions within the domain of Banking and Telecom. Rajesh work in DNB, one of the leading bank in Nordic region as IT Business Analyst, and always like to share experinces on Applcations Performances. S601 - Zowe: An open source tooling for z/OS for the next 50 years of the mainframe and beyond ! Project Zowe is an open source effort to create a tooling platform to modernize and simplify access to z/OS for developers and system programmers. The initial effort was created by IBM, Computer Associates and Rocket Software during 2018 and is now generally available since February 7th 2019. This talk will show the goals and desires of the project, as well as demonstrate the command line interface, the API mediation layer and the web desktop. Zowe contains rich function in its builds that are ready to use out of the box, as well as an extensible framework to allow vendors and customers add their own function or call its APIs, and this talk will cover all aspects of the project and show how to both consume Zowe as well as add to its capabilities. Joe Winchester works for IBM in Hursley, UK where his focus is on modernizing and simplifying tooling for z/OS. He is a committer for Project Zowe, an open source initiative run by the Open Mainframe Project, where is the lead of the onboaders squad. Prior to that Joe was the architect for the z/OS Explorer Aqua project. Java is not a new technology; Java Stored Procedures were introduced to DB2 for z/OS in version 7. With the recent z13 & z14 and its Java improvements, the use of this technology might be extended. Let’s review the concept of Java Stored Procedures in DB2 for z/OS in this presentation, discuss how to write them and introduce the latest enhancements of Java on mainframe. Jan Marek is a 10-year IT professional with the background from software engineering. Starting with mainframe workload automation he is now enjoying the world of DB2 for z/OS as Agile Product Owner in CA DB2 Tools product management team. His area is backup and recovery family of products. As new, traditionally non-mainframe developers start developing on the mainframe, they want to leverage tooling they are familiar with, getting started quickly and easily and working with applications on multiple platforms. Software development with preferred IDE’s like Visual Studio Code, Eclipse, and Intellij in conjunction with Git for source code management is pervasive. Having the flexibility to use these tools in a mainframe context without disrupting what is already working on the mainframe is the holy grail. This session will highlight, along with a demo, Git working with Enterprise Git to access code and build code in Endevor. Additionally, how a developer can work on mainframe code and frame assets in modern IDE’s that have familiar user experiences. Dana Boudreau - As a leader in agile development Dana Boudreau directs CA Technologies Mainframe Application Development solution portfolio. This includes setting strategy and product direction for the Endevor, InterTest, File Master Plus, and SymDump solutions. He has deep experience in leading mainframe as well as distributed teams and join CA after a 20+ year career at IBM. Dana works closely with CA’s mainframe customers to improve software delivery and developer productivity.As visionary product leader, his contributions have changed software development on the mainframe and he has helped scores of organizations integrate their mainframe and distributed development process to speed delivery and drive more successful business outcomes. Developers need to be able to easily iterate in a personal code, build, and unit test loop and then commit their code to the shared, automated application delivery pipeline. This quick iteration requires a modern development environment. This session explores IBM's flexible set of z/OS development environments. These range from Z Open Development, the newest offering, targeted for integration with an open source DevOps tool chain all the way to Application Delivery Foundation for z Systems, a suite of integrated, full-feature tools that extends IDE capabilities with abend analysis, file management, and application performance analysis. Alisa L. Morse serves as offering manager for DevOps for Enterprise Systems portfolio products and solutions including IBM Developer for z Systems, IBM Debug for z Systems, and IBM Application Delivery Foundation for z Systems. She is responsible for driving DevOps for Enterprise Systems offering strategy to meet the needs of Z software delivery teams. Alisa started her career in VTAM development, and has held development and offering management positions in products that include IBM Personal Communications, IBM Communication Server, IBM Rational Host Access Transformation Services, and IBM Z Development and Test Environment. Large Mainframe customers must speed innovation while ensuring stability. But culture, process, and technology can make it tricky. A modern development framework is required to help customer build and deploy applications quickly and with less effort and cost. The speaker will introduce such framework supported by IBM and open source solutions like Application Discovery, IBM Dependency Based Build (DBB), IBM Z Open Development, GIT and Jenkins. He will highlight the value of this zDevOps framework that has been implemented in the MPLbank showcase environment with a live demo on a real core banking solution from Sopra Banking Software. Ever wonder where to find a business rule in your monolithic code base? Can't respond quickly to a simple business rule change? Do you have code that is so old that nobody knows how it works anymore? This session is for you! We will describe technical and business aspects of Business Rules and Business Rule discovery in large legacy environments. We will discuss the roles of Enterprise Architect and Business Analyst in the process of business rule discovery. We will then explore static code analysis, data analytics, and machine learning as possible techniques to expedite discovery of business terms and business rules. We will also demonstrate the importance of a coherent environment to facilitate and manage discovery of business rules in conjunction with managing performance and test data to help refactor the code faster. DevOps principles have been around for some time. Data accumulated from Development and Operations in the form of traces and logs has also been available for manual analysis. Analyzing the intersection of dev and ops data using Machine Learning is the focus of this session. By using sample applications and IBM’s Application Discovery and Delivery Intelligence, we will discuss basics of Machine Learning and some of the Artificial Intelligence algorithms and explore potential future applications of more sophisticated approaches to analysis and improvements in efficiency of DevOps processes in Enterprise environments. Today the developers need to understand unfamiliar or complex mainframe applications programs that don’t have documentation and are 20, 30 or even 40 years old. Veli-Matti Ylitalo is a Technical Account Manager at Compuware covering Finland, Sweden and Norway. With more than 30 years of experience working with the mainframe, Veli-Matti has worked as an Application Developer on the z/OS platform for over 10 years. Focus in working with clients in implementing, customizing and giving end-user trainings for Compuware products. This typically also include 1st level support. Veli-Matti is currently the main contact for technical aspects of the Compuware portfolio on the Mainframe in Finland and named customers in Sweden and Norway. At this session I will tell you about COBOL code savings you can do on top of any COBOL version, to make your program run faster. Many of us may have forgotten or never have time writing efficient COBOL code, and in the end your management may think COBOL is becoming too expensive. This session will cover different COBOL code examples that are simple, but for sure will make your program run faster, and together with COBOL 6 we often see savings up 80% in the COBOL code. The session will also take a short look into what you can do with the compiler option. Henrik Strøbech has been in the mainframe area since 1989, and before that, he was coding pc systems. Before his current position as a Solution Architect at Nets Denmark, Henrik has been working as a consultant at several Danish mainframe installations for 13 years. Henrik has been with Nets Denmark for 9 years and is currently working as a Solution Architect. For the past 3 years, he has been working on a MIPS Saving project, where his latest findings with COBOL has proven to be very interesting. Henrik is together with Svenn-Aage Sønderskov the founder and Chairman of the GSE Performance group in Denmark. This group include specialists from all major mainframe installations in Denmark. Who remembers KITT from Knight Rider 1982, the love bug Herbie or the Transformer Bumblebee? All of them are fictional intelligent cars that would free drivers from many tasks and would let them focus on the drive. Today's cars getting closer and closer to the fiction, by for example: automating routine tasks like operating the head lights, more efficient and safer breaking, and avoiding accidents by automated lane assist. And yes, you can talk to them. Most of us had to learn and master all this in driving school, but are willing to hand those tasks over for an improved driving experience and better security. While KITT starts becoming reality, Mainframes are sometimes still driven like back in the 80's. Get into the passenger seat and experience, how developers can enjoy a smother ride and operators worry less about things getting broken, thanks to concepts like Shift Left Testing, Infrastructure as Code and an overall DevOps culture. Isabel Arnold joined the team of technical specialists for mainframe software in 2004. Her areas of expertise include CICS and modern application development, the latter also by using it herself and trying to demonstrate how modern a z/OS environment can be. On this mission she advocates cloud capabilities on the platform and helps customers open up the platform to their developers. She is currently responsible for the Nordics, regularly speaks at conferences and other events and demonstrates the funny side of the mainframe in her cicsabel Youtube channel. In May 2017, Danske Bank kicked off an ambitious project migrating all source code elements and versions from CA Endevor and Librarian from two mainframe platforms – Danske Bank and Danica. The source code elements covered COBOL, PL/1, ASM, SDF2, REXX, Clist, ISPF, C, and SAS. A part of the migration was also to develop a new build and deploy environment covering the different source code elements. Besides the technical migration and building, the new development platform the project also covered training of 1000+ developers located in Bangalore, Vilnius, Ejby, Brabrand and Lyngby. This presentation will cover the collaboration with the development teams, the migration transformation process and the technical solution. I spent 13 years on distributed development in Danske Bank and the last 5 years as developer on the centralized platform. As a part of my job role I have worked with (1) agile transformation and (2) implementing continuous deployment principles on distributed and centralized platforms. Navigating in the cross field between organisational implementation, strategy development, and change management for 6+ years. In her current role as Organisational Implementation Specialist in Danske Bank, she is challenging status quo in the pursuit of implementing new tools and practices across the IT organisation. She holds a Master of Science in International Management and Marketing (Copenhagen Business School / Queensland University of Technology) and Bachelor of Science in Psychology and Business Administration (Copenhagen Business School / Queen’s University). Prior to joining Danske Bank, she has been working with different aspects of change management and organisational implementation across various industries. Svenn-Aage Sønderskov is a Systems Programmer, DBA and IT Architect with over 40 years of experience, where many of the years has been providing infrastructure for both developers and production staff, among which are a lot of homegrown tooling that exploits the infrastructure in ISPF and TSO. The goal of Agile development and DevOps is to quickly get new functionality into production, get feedback on it, and then deliver new iterations based on the feedback. The focus is on measuring whether the functionality meets the business requirements. However; measuring the operational costs of the changes is often ignored - and in worst case, a badly designed or implemented change can drive operational costs that are higher than the business value generated by the new functionality. 3. Gives the business transparency into who (application or organization) is driving capacity costs. This presentation will include stories about where things can go wrong, and practical ideas about how to do things right. Steven Thomas is Chief Technology Officer at SMT Data; a software solutions company specializing in applying business intelligence tools and methods to capacity and performance data for clients worldwide with large IT installations. S702 - I’m a new mainframe application developer, can I use my favorite IDE - in the cloud or otherwise? As the Mainframe application development landscape evolves to welcome the new age ‘non-traditional’ mainframe application developers to the platform, the need for familiar, easy to get started and easy to use tooling that leverages the current technological patterns and paradigms is more than ever. Rich or fat clients which provided momentum for mainframe application development modernization, have proven to be difficult to manage at scale. Cloud based development environments that are easy to manage while allowing quick, easy access from anywhere using a thin web client are gaining prominence. This session will detail and demo the Cloud based IDE technology and the extension of it to support the mainframe application development scenarios while providing the developers the ability to do server-based development where they can store off their workspaces, share workspaces with team members and have the choice to pick the technology stack that enables them to develop cross platform applications as needed. The session will also detail how the use of container technology like Docker can help provide developers the flexibility while simplifying the life of the tool administrator. Last but not least, the session will also demonstrate how the solution is structured to provide developers the flexibility to use their favorite IDE as well. Venkat Balabhadrapatruni is a Master Software R&D Architect at Broadcom, responsible for the architecture of the Mainframe franchise Enterprise DevOps portfolio set of products that include Endevor, Endevor Modernization (Git 2 Endevor integration), Endevor DevOps option, Application Developer modernization tools, Zowe integration, InterTest, SymDump, File Master Plus, Mainframe Application Tuner. Venkat has extensive experience in the mainframe application development landscape and has been leading the modernization efforts in this area of the last 18 years. … or a server farm, like we see at Google? Why are Nordic top enterprises, such as banks and outsourcers, still relying on mainframes? What are their demands to their IT infrastructure, now and in the future? And what type of job profiles and people skills will they require? This session is an introduction to the Mainframe and how it supports these demands. Maria Kroos Boisen is the Nordic IBM Z Business Unit Executive, coming from a Client Manager position in the Financial Service and Banking Sector. Maria startied in IBM as a Client Technical Specialist for IBM Z in the hardware department. Maria is an IBM Z evangelist who works with clients on getting the most out of the platform both from a technical and financial perspective. Maria gives lectures amongst other at the Danish Technical University (DTU), with the purpose of educating and attracting a new generation to work with IBM Z. Further Maria is contributing to the IBM Z community via blogs and videos. Maria is a member of IBMs Nordic TEC, which is a network of experienced technical professionals, with the purpose of sharing knowledge about the whole IBM solution portfolio. S704 - What makes the mainframe different from a laptop ? Some enterprise workloads have an extra high demand for availability, scalability, resiliency and security. A significant part of this is covered by the Mainframe's middleware, operating systems and hardware. This goes all the way down to the unique chip design and many redundant components that can be replaced while the machine is running. Compare this to exchanging an airplane engine … in flight. Some stuff might be new to you, like Cobol, CICS, IMS, ISPF, some you may know from your studies, like Swift, Node.js, Git, Jenkins, Waterfall model (yeah, still around), DevOps and many more. DRAFT: Niels Simanis will tell about why the Mainframe is so important seen from a Company perspective, where the service of the larger bank's cannot deal with downtime seen both from the Bank and Customer Perspective. The platforms ability to run 24 by 7 without customers knowing about the necessary maintenance being applied and the scalability options at hand will be addressed. People working with the platform will give a "birds" view on what it means to work with a platform, where "batch" windows do not exist , all app's has to be continuous delivery ready and if an error arises, fallback can be done in seconds. Learn about the IBM LinuxONE Emperor II penguine that can consume up to 30 billion RESTful web interactions a day, tens of thousands of docker containers or up to 10000 virtual servers all encrypted to provide the highest security platform on the market. It earned “Best Blockchain Platform” Future Digital Award 2018 by Juniper Research. Per Rosenquist works for IBM Denmark in Systems HW Labservices as a consultant. He has more than 40 years of experience in working with IBM Z, mainly with z/VM, and Linux on IBM Z. Information Technology is undergoing a revolution of changing architectures, new processing capabilities and a deluge of programming language options. With the ever-increasing speed of technology advancements, a dynamic workforce that spans millennials to baby boomers and rising expectations in user experience, there needs to be a new standard framework for interacting with the mainframe that enables an intuitive, productive and better integrated solutions. Patric Becker is a Director within the IBM Db2 for z/OS Tools development organization. The team performs IBM-internal and external education for IBM Db2 for z/OS Tools, supports customer installations and conducts proof-of-concepts. Before joining the Db2 for z/OS Tools development organization, Patric worked as a manager in application development at a large mainframe customer in Germany before joining IBM in 2008 where he worked with customers worldwide on IBM Db2 Analytics Accelerator for z/OS. He has more than 21 years of experience with Db2 for z/OS and has co-authored six IBM Redbook publications, focusing on Db2 for z/OS, high availability, performance, and analytics. Organizations are shifting to deliver more, smaller features faster. Learn how to improve development productivity and quality through automated deployments. While the buzz words (Agile, DevOps, Cloud Provisioning, Continuous Deliver, Continuous Integration) will be mentioned, the emphasis is on how to automate schema changes to development environments, enable developers to self-service provision and manage their Db2 z resources. DBAs learn how they can influence the process rather then become roadkill. Every IT installation have COBOL code where they wonder, why is it slow? You may also be in a situation, that you did not know that the COBOL code was slow, much slower than the Db2 in the program. At this session you will have the chance to optimize the code you have be struggling with for long. Or learn that optimizing the COBOL code really matters. Bring the COBOL code or COBOL statement you want to optimize. Please note – we will not handle Db2 statements. In this session we will look into the COBOL code examples that you bring and that you struggle with, consuming a lot of CPU. It could also be that you just want to do something smarter or faster to save CPU, just bring it on. Maybe you will tell us something very smart, that will save others a lot of CPU, the choice is yours. But all your input must be related to the COBOL code. IBM and all the participants in the session will try to help and learn from your troubles/ideas, and input from the session will be handed over to IBM who may be able to use the input for COBOL language improvements. Come and take part in the discussion on what we have to pass on as the "Best Practices in Mainframe Operations" and maybe you want to start or be part of a local community on the subject to be shared with the World. Z990 - Closing Keynote - 50 Years of Application Serving—What Will the Next 50 Years Bring? place holder closing Keynote .